Good morning! Heather from Houses Built of Cards dropping by this morning to share a simple card for Dad - just in time for Father's Day this Sunday! I used Winnie and Walter's Parentville Extras, Scenery: It's a Wonderful Pennant, Bubble Talk, and Scenery: V is for cheVron to make this one layer card. I added some flicks of Heidi Swapp Color Shine in black for a finishing touch. beautiful card!! 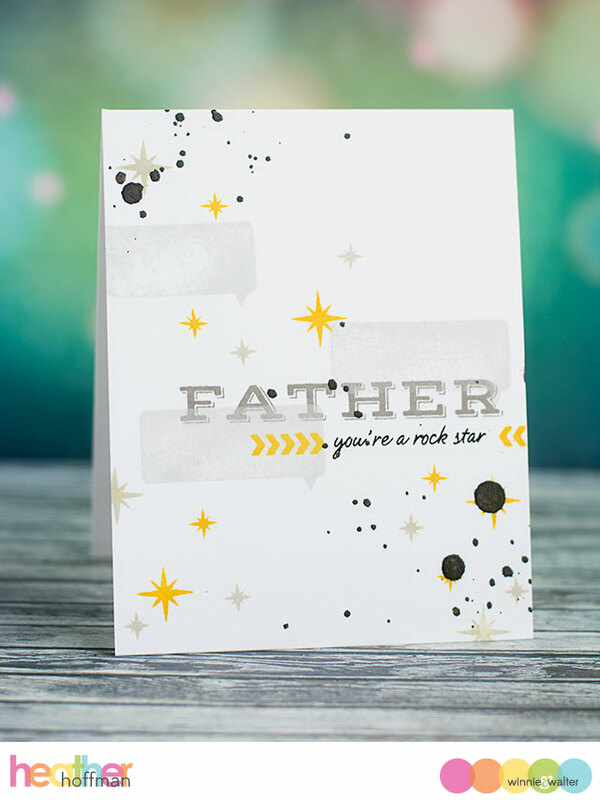 love the layering with stamping..
Fabulous card - love the clean look of it! 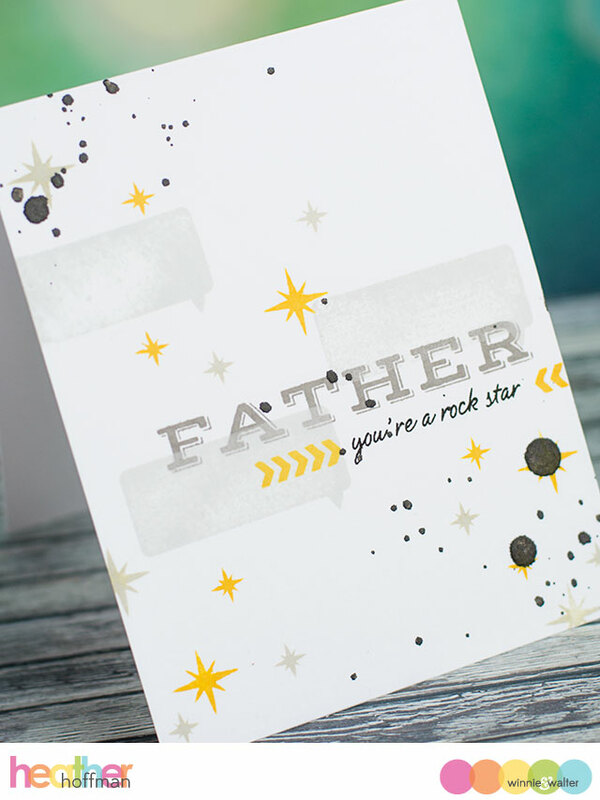 Great Fathers day card...love the splatter.